Italy has been a premiere travel destination for centuries and whether you stay in a luxury tent or a holiday campsite, you will enjoy unforgettable experiences when frequenting this country. Looking for camping in Italy? LUX Camp offers a wide range of all the best 4 and 5 star campsites in Italy - visit us today and book your next camping holiday at a great price. From the balmy Mediterranean shores to the timeless architecture of Rome and the snow-capped peaks of the Italian Alps, it is no wonder why this region is so very popular. Feel free to contact Lux Camp for more information or to address additional questions; we are more than happy to assist. Unforgettable architecture in cities such as Rome, Naples and Venice. Picturesque countrysides and breathtaking views of flora and fauna. Situated in South-Eastern Europe, Italy is host to some of the richest and most diverse cultures on the planet. As its history can be traced back for millennia, the architecture and ruins are known throughout the world; perfect to view when camping in luxury. Still, this region also boasts panoramic natural settings combined with beaches perfect for a getaway during any time of the year. So, it should be no surprise that luxury camping in a mobile home is quite a popular form of relaxation. Adria is a port city located in northern Italy known for its canals and a proximity to the Adriatic Sea. Should you choose to visit here during a camping holiday, you can enjoy such sights as the Church of Santa Maria Assunta della Tomba and a massive archaeological museum. Keep in mind that pristine skiing locations are only a few hours away from Adria. This is the largest lake in Italy and it lies between the provinces of Verona and Trentino. Many visitors opt to utilise an existing bungalow tent to appreciate the wonderful vistas of the tranquil waters and the surrounding countryside. 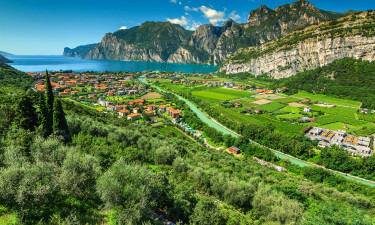 Of course, Lux-Camp is happy to provide more details in regards to Lake Garda. Tuscany is located in central Italy and the capital of Florence is one of the most revered cities in the country. Considered to be the birthplace of the Renaissance, Tuscany is also home to stunning examples of Italian architecture. Such sights as the Palazzo Vecchio and the famous David sculpted by Michelangelo can be viewed from nearby luxury camping sites. 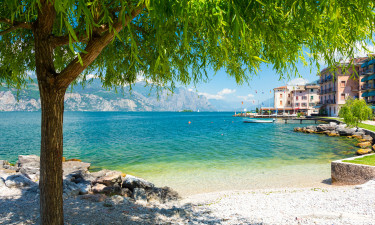 Thanks to an amenable climate, Italy is home to unforgettable beaches and diverse natural settings. 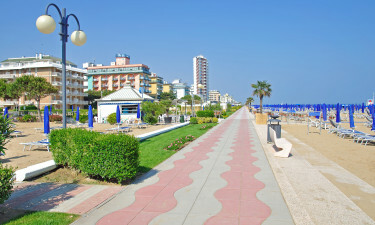 Some of the most famous beaches include Levanto, Cefalù and La Guardia in Tuscany. 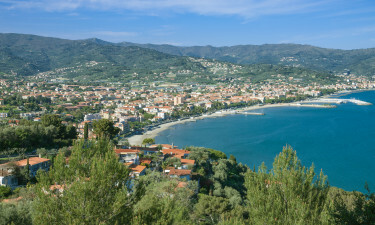 In terms of nature and notwithstanding the imposing Alps, some excellent holiday camping sites include the island of Gavi, Maremma Regional Park and the well-known island of Elba. 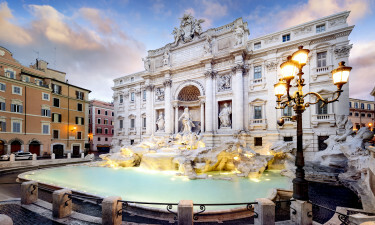 Rome should be a must-see destination for anyone who desires a camping holiday here. Other sights include the canals of Venice, the shopping districts of Milan and the stunning architecture of Florence and Naples. 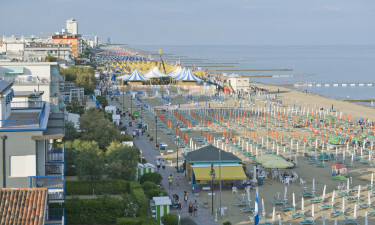 LUX Camp offers a wide range of all the best campsites in Italy. With campsites in 14 regions, stunning landscapes and beautiful beaches camping in Italy is an all time favourite with LUX Camp families. Book your next luxury family camping holiday online or contact one of our highly experinced sales agents to find the perfect campsite in Italy for you and your family. Sumptuous regional foods include Bistecca alla fiorentina (Florentine beefsteak), pizza (naturally) and stuffed calamari in tomato sauce. 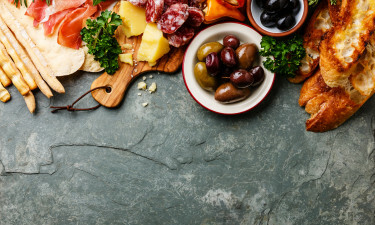 Italy is known for producing such famous wines such as those produced in Tuscany and a northern variety known as Piemonte. This is quite a warm culture and the people are very friendly. It is not uncommon for those on a luxury camping holiday to be asked to dine with a local family or within a village restaurant. The weather and temperatures here are as varied as the culture itself. You can choose a luxury camping site which boasts a truly balmy climate or should you head north, locations which offer colder temperatures and excellent skiing conditions are likewise possible. This arises from the fact that Italy covers a vast distance and the northern regions are known for high mountains and temperatures similar to Central Europe. Italy can trace its roots back nearly 43,000 years. From the late Iron Age to the Etruscans and the Greeks, cultures have existed here for countless centuries. However, Italy began to gain its powerful reputation with the eventual Roman conquest in the third century BCE. After the decline of Roman influence, Italy was dominated by the presence of city-states until the 19th century when a renewed sense of nationalism began to take hold. In modern times, this unique country is defined by a melange of numerous cultures, traditions and histories.